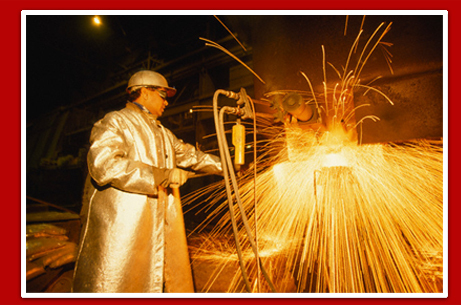 Kanishk Steel Industries Ltd., an ISO 9001:2000 certified company listed in BSE. 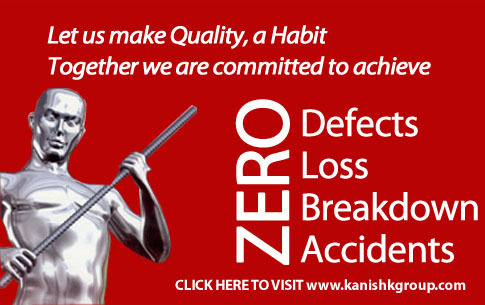 Kanishk Steel is promoted by late Shri. O.P Gupta, who has established steel related business in Tamilnadu. Kanishk Steel Industries Ltd., has a turnover of Rs.273.93 crores and the group turnover is of Rs.500 Crores. 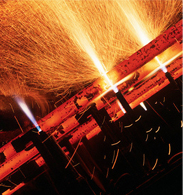 Kanishk Steel employs around 450 people. The company manufactures steel products (Finished goods) both Constructional steel and Structural steel conforming to the Bureau of Indian Standards BIS 1786 and IS 2062 (equivalent to ASTM, BS, DIN). As a pioneer in the recently developed field of TMT bars, Kanishk Steel Industries has emerged as a dominant player in the market and has been continuously providing value to the customers over the years ensuring quality and cost effectiveness. The major customers in Public Sector of Kanishk Steels include BHEL-Trichy, BHEL-Ranipet, TANSI, Neyveli Lignite Corporation (NLC), DRDA Units, Tamil Nadu Government, ICF, Atomic Energy Kalpakkam, LIC of India, Chennai Corporation and others. Kanishk Steel also supplies to major project customers like Jindal South West (JSW), Madras Cements, Singapore Realty, Petron, Skanska Cementation, Khivraj Tech Park, Shapoorji Palloni, DLF INFO City, Tube Product of India, Matha Amirthananda Mayi Math, Shriram EPG Ltd., Suzlon Energy Ltd., Boss Infrastructures Pvt. Ltd., GMR Ullundurpet Express Ways Pvt. LTd., EMAMI Biotech Ltd and others. Kanishk Steel also supplies to SEZ project customers like SEP Sons (India) Ltd., East Coast Constructions & Industries Ltd., EMAS Engineers & Contractors Pvt. Ltd., Mahindra Zesco Developers Ltd., Coromandel Engineering Company Ltd. (Murugappa Group), NAPC Ltd. and others. Kanishk Steels corporate office is located at Old # 4 , New # 7, Thiru-Vi-Ka 3rd Street, Royapettah High Road, Mylapore, Chennai - 600 004 with its TMT Bars and Structural Steels.